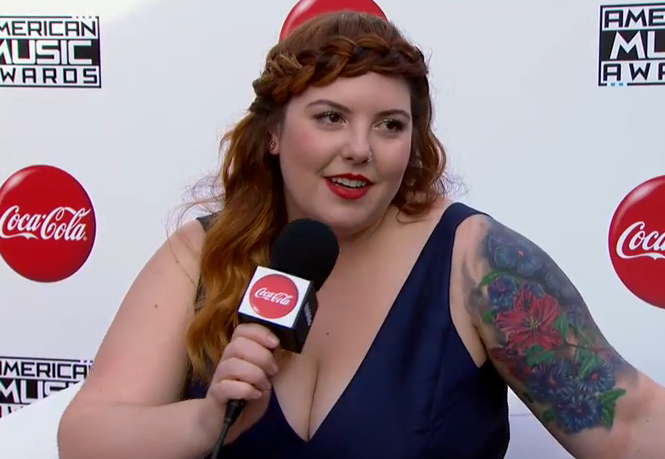 Mary Lambert Discusses Her Own Dirty “Secrets” At 2014 AMAs Red Carpet Interview — Watch It! Singing sensation Mary Lambert stopped by the red couch with Carly Steel and Karl Schmid recently after her red carpet pre-show performance tonight, November 23rd at the 2014 AMAs. With her single called “Secrets”, Carly asks Mary to tell everybody her own “dirty secret”. She then proceeds to talk about her American Idol experience and working alongside Macklemore and Ryan Lewis. Check out her interview in the video below and tell us what you think about it!